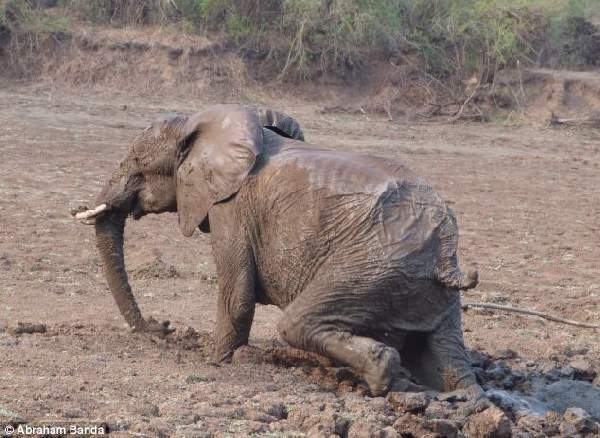 ShangralaFamilyFun.com - Shangrala's Elephant Rescue! 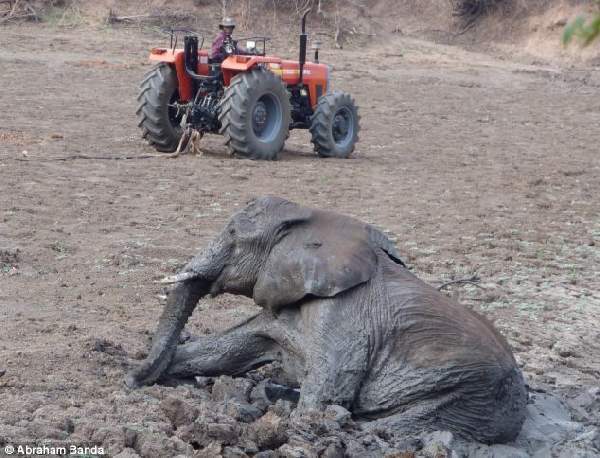 Conservation workers, who normally have a policy of leaving nature to fend for itself as much as possible, could not sit by and let a mother elephant and her calf die horribly from being stuck in a mud lagoon. 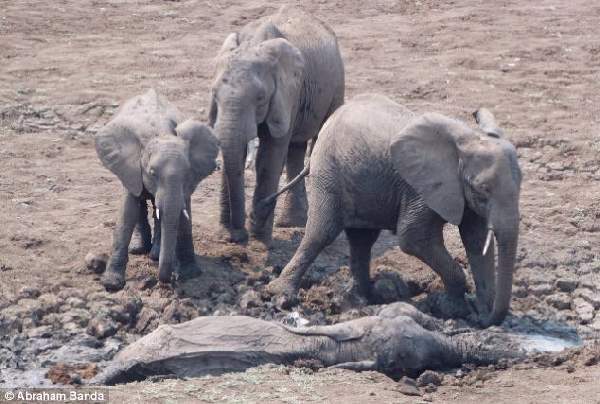 The family herd desperately tries to help the stricken mother and calf as they lie in the lagoon. 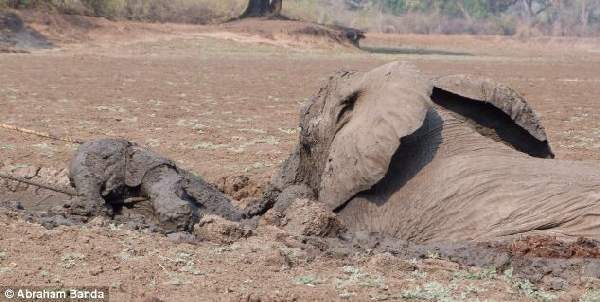 The mud dries quickly making their mistake harder and the window of time for rescue much shorter. 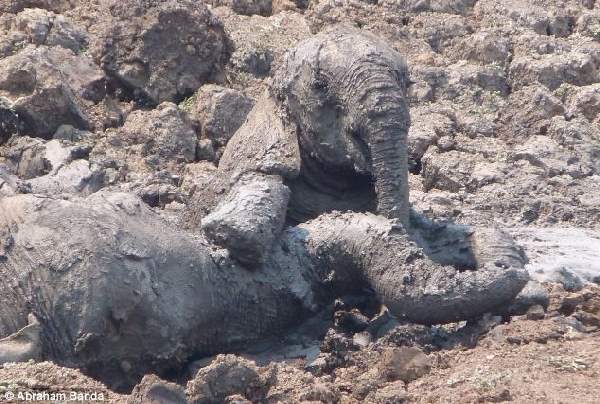 Workers managed to slip a rope under the baby before the hard work of pulling her free begins. 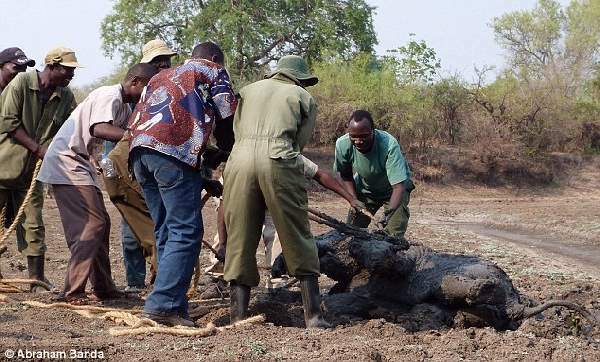 The team of workers from South Luangwa Conservation Society pulls the calf first, avoiding the mother's thrashing trunk. 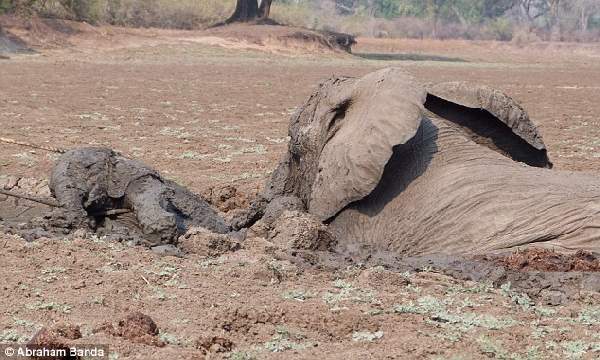 A couple of attempts are made to release the youngster but it wants to stay with its mother and goes back, getting stuck once again. 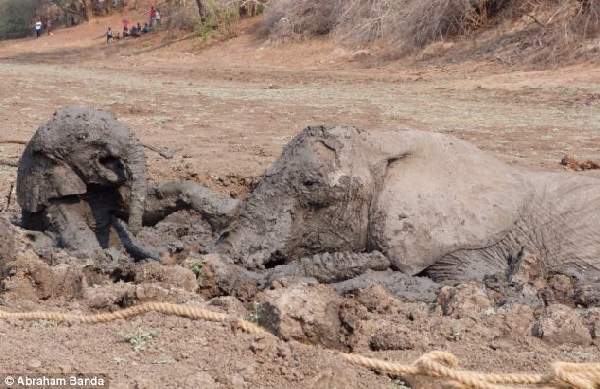 The calf appears to be calling for help while her mother appears resigned to her fate. Some would argue that rescuing the mother and baby meddles with the natural order. 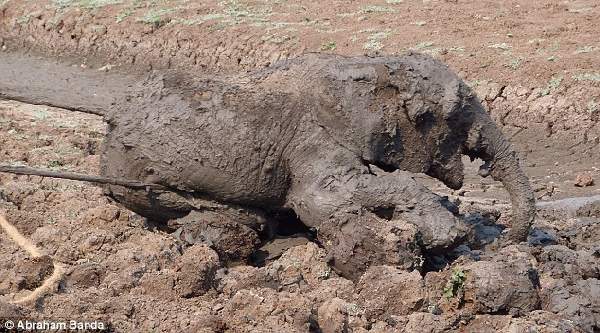 Although the calf appears to be almost free of the drying mud pool, she looks back to her mother. Shouting and waving frantically, the team tries to deter the youngster from returning to its mother. 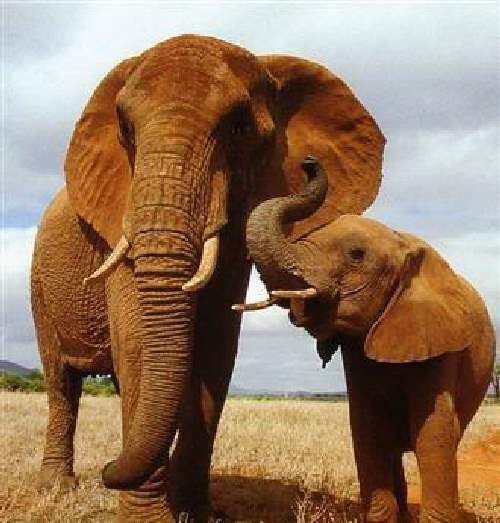 A final attempt is made to pull the calf further away from its mother. 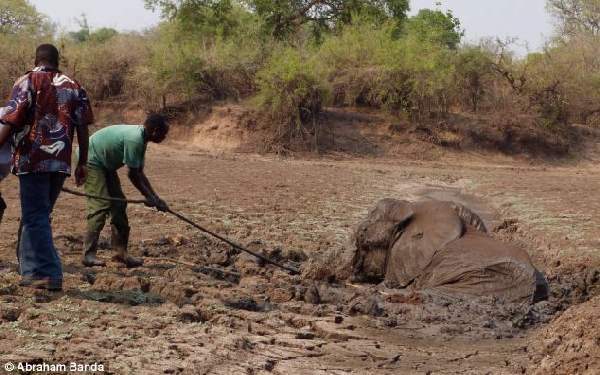 Finally there is some joy as the ropes are removed from the calf elephant after it is pulled clear. A cousin from her herd calls to her and she makes a dash for freedom. 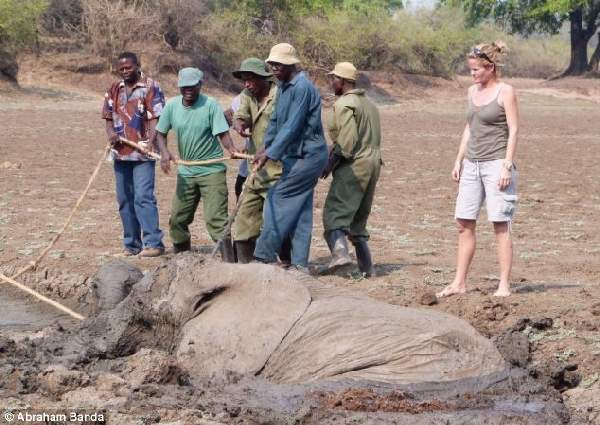 Manpower would not be enough to pull the adult elephant from what would have been a muddy grave. 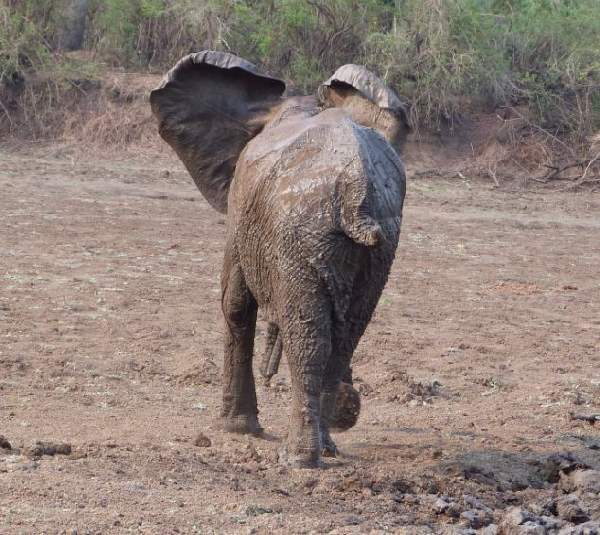 After an inch by inch struggle, she senses freedom and starts to scramble through the mud once more. 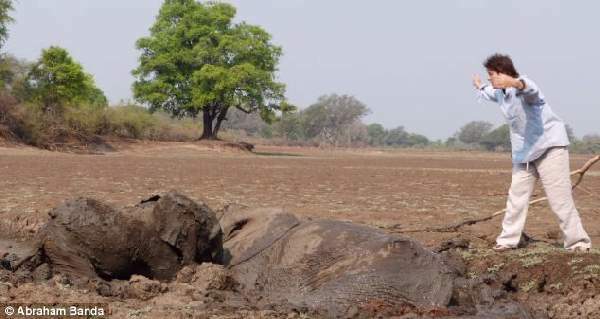 She cries out for her baby and the herd who are waiting for her just beyond the trees. A little weak and wobbly, she makes her escape to the delight of everyone who helped. 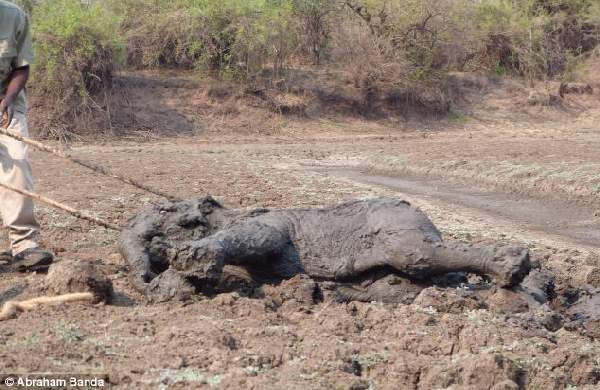 After the long struggle, the mother makes a dash towards her calf and waiting family. 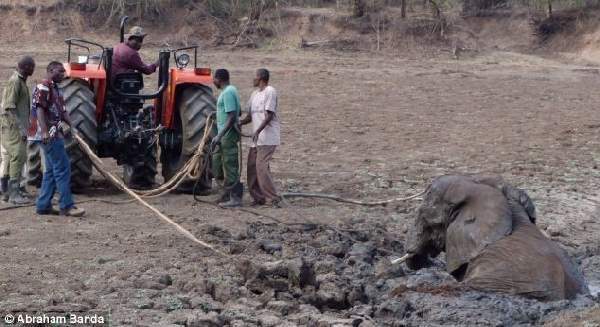 SEE ALSO: Elephant Rescue 2! Special THANKS Goes To SHARON For Sharing This With Us.